Made of quality polyester fabric, fully-lined, non sheer and not stretchable. 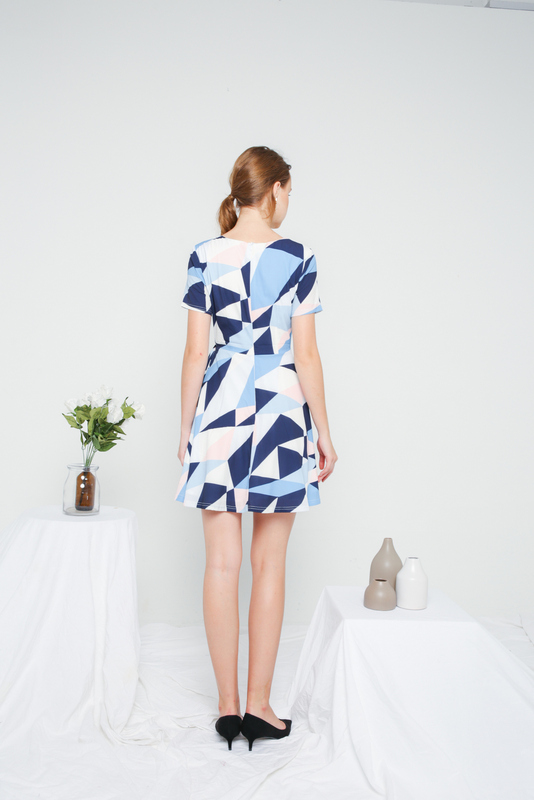 Features vibrant geometric prints, faux wrap top, waist ribbon and made in a skater dress cut. Complete with a concealed back zip. Does not come with functional side pockets. *Product colour is more true to the actual item in studio photographs.